A.R. Despic,T.L. Trisovic, "Transition layer thickness in microlaminar deposits", Journal of Applied Electrochemistry 23: 6 (1993) 662-668. 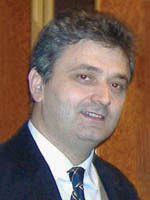 N.V. Krstajic, B.M. Jovic, V.D. Jovic, Lj.Gajic-Krstajic, T. Trisovic, M. Vojnovic, "Cyclic voltammetry investigations of the redox process in polyaniline films", Journal of the Serbian Chemical Society 61: 6 (1996) 469-477. V.D. Jovic, T. Trisovic, B.M. Jovic, M. Vojnovic, "The morphology of different metals electrodeposited onto polyaniline films", Journal of Electroanalytical Chemistry, 408:1-2 (1996) 149-155, doi:10.1016/0022-0728(96)04546-9. V.D. Jović, B.M. Jović, E.R. Stojilković, T. Trisović, M. Vojnović, "Investigation of the polyaniline film porosity by the electrodeposition of cadmium on the film", Journal of the Serbian Chemical Society 64: 4 (1999) 265-273. Lj.M. Gajić-Krstajić, T.Lj. Trišović, N.V. Krstajić, "Spectrophotometric study of the anodic corrosion of Ti/RuO 2 electrode in acid sulfate solution", Corrosion Science 46 (2004) 65-74 (doi:10.1016/S0010-938X(03)00111-2). T. Trisović, Lj. Gajić-Krstajić, N. Krstajić, "Electrolytic hydrogenation of glucose on amalgamated zinc in sulphate solutions”, Materials Sciences Forum 453-454, (2004) 145-150. B.Z. Jugović, T.Lj. Trišović, J. Stevanović, M. Maksimović, B.N. Grgur, "Novel electrolyte for zinc–polyaniline batteries", Journal of Power Sources 160 (2006) 1447–1450 (doi:10.1016/j.jpowsour.2006.02.096). L.D. Rafailovic, H.P. Karnthaler, T. Trisovic, D.M. Minic, Microstructure and mechanical properties of disperse Ni-Co alloys electrodeposited on Cu substrates, Materials Chemistry and Physics, vol. 120, no. 2-3 (2010) 409-416, doi:10.1016/j.matchemphys.2009.11.029. L. D. Rafailović, C. Gammer, C. Rentenberger, T. Trisović, C. Kleber, C., H.-P. Karnthaler, "Enhanced oxygen evolution and reduction reactions of porous ternary NiCoFe foam electrodes prepared by dynamic hydrogen template deposition", Nano Energy, 2, 4 (2013) 523 - 529http://dx.doi.org/10.1016/j.nanoen.2012.12.004. L.D. Rafailović, C. Gammer, C. Rentenberger, T. Trišović, C. Kleber, H.P. Karnthaler, 2015, "Functionalizing Aluminum Oxide by Ag Dendrite Deposition at the Anode during Simultaneous Electrochemical Oxidation of Al", Advanced Materials 27, 41 (2015) 6438-6443, http://dx.doi.org/10.1002/adma.201502451.